When I moved into my house, I had a goal — beyond successfully failing at small-talk with my neighbors — to automate my home. 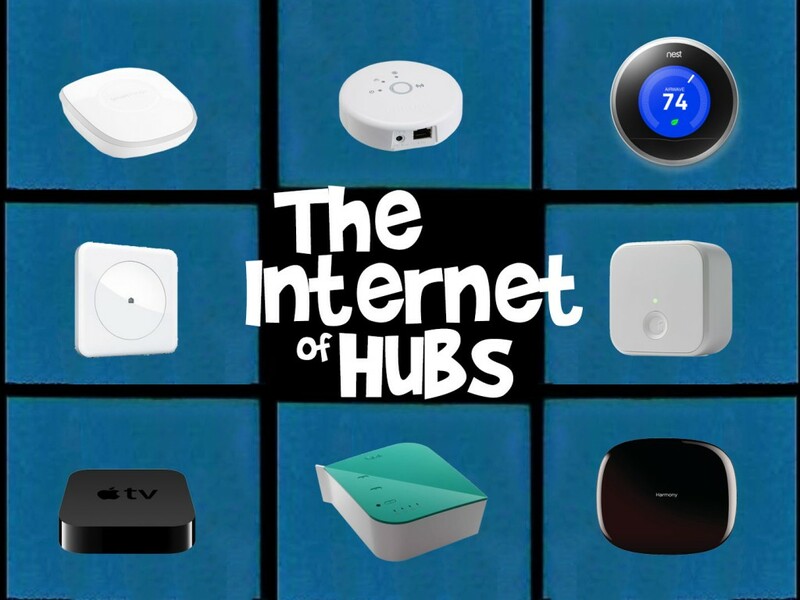 Two years in and I have control over most rooms in my house, however, the Internet of Things feels more like the Internet of Hubs. One unfortunate consequence of home automation is the requirement of a central hub to control specific functions. The promise of a truly wireless lifestyle is exciting but my office is a mess of cables thanks to my computer, hard drives, a modem, a router, SmartThings, and Hue. Both SmartThings and Hue hubs need to be connected to a router but they essentially do the same thing. Are they both required? For the business, it’s a good way to monetize the service but for the consumer, it’s just another thing to plug in. The release of SmartThings v2 is a big one: it’ll incorporate Bluetooth but most importantly, it will add battery backup when you lose power and it’ll be able to process SmartApps locally (as opposed to the cloud). However, it’s another piece of kit. I’ve discussed the hub that accompanies the Harmony remote and that one makes sense: it’s required to send IR signals to nearby devices. However, when I turn a Hue bulb on from Harmony does it really have to communicate hub-to-hub? Isn’t there a more efficient way? I don’t believe hubs will exist in a few years. We’ll still need something that drives all our devices but they’ll be integrated into other equipment we already use whether it be your TV, cable box or even your refrigerator. Or if the rumor turns out to be true, your Apple TV. Maybe Echo or Nest will be the hub? One day we’ll truly be wireless and hopefully hub-less!